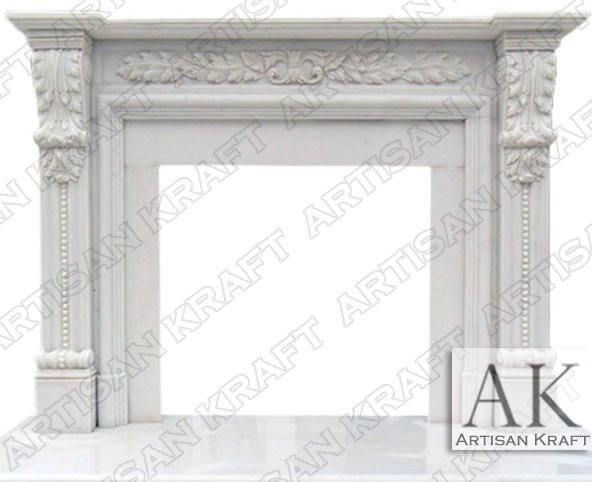 Hinsdale White Marble Mantel is made in the Italian Greco-Roman style. A simple shelf with a floral frieze and floral corbels. White pearl like beading comes down the center of the leg down to a C scroll. The Hinsdale can be carved from any marble but is most commonly made in white. Find it on our stock mantel sale page. A simple Italian design that will serve its purpose wonderfully in your home. Stone: GFRC, marble, travertine, limestone, sandstone.